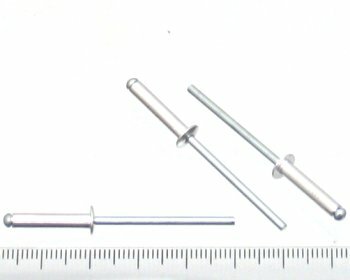 Aluminium rivet with steel stem size 4-8. This rivet can grip materials up to 12.7mm together. Use a 1/8th inch, 3.28mm drill bit to make the correct size hole such as these.